Mahindra Navistar trucks are produced by Mahindra Navistar Automotives Ltd. (MNAL). The company is a 51:49 joint venture between two global business leaders - Mahindra & Mahindra Ltd. (M&M) and Navistar Inc. USA. The Mahindra Navistar team has over 800 people involved in the development and support of its Indian products. The aim of Mahindra Navistar is to deliver high performance solutions to all its consumers through Mahindra’s technology and support. 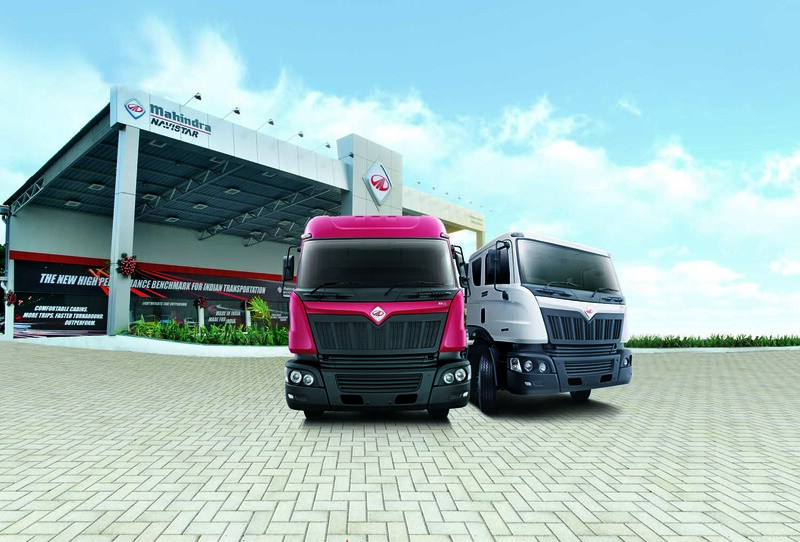 Mahindra Navistar trucks' functional design and workplace efficiency is a product of broad study. And they have been tested thoroughly to deliver high performance and outperform even in the harshest of circumstances. Customer Happiness is the chief objective for Mahindra Navistar services and We guarantee to provide with the best level of services and products. We have some of our customers speak about the trucks and share their experiences with us. “We have one MN25 and one MN31. We are pleased to state that we are happy with our decision of buying MN products and have been getting a good performance. My MN drivers are also happy with the comfortable cabin.” – Koti Reddy, S.G. Chemicals, Hyderabad. “I have been using MN25 for 4 months now and it has covered me 40000 Km. I am pleased to state that the performance is better than other vehicles in my fleet. I am happy that the MN25 provides me with more profits than my other vehicles and I would definitely go for MN products in my future purchase. I would suggest everyone in the transport business to go for these products confidently.” – A Naveen Kumar, Saketh Transports, Kadad. “MN31 joined our fleet 4 months back and has covered 21000Km till now. I am happy top state that the fuel average is coming good. Drivers are also happy with the vehicle cabin comfort and features. In terms of service, I’m very much satisfied as they service my vehicle on time and with Quality work.” – K.V.S Murthy, Sri Kannatalli Transport, Vishakhapatnam.